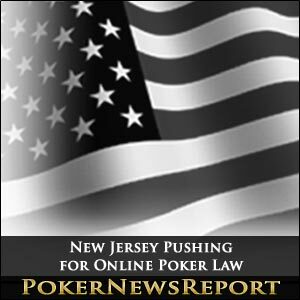 Not wanting to be left in the dust by Nevada’s recent regulations approving online poker, New Jersey is hoping to pass its own legislation next week prior to the conclusion of its current Legislature, the Associated Press reported. I don’t want to be left behind the state of Nevada like we were with sports betting, said Sen. Raymond Lesniak, (D-Union), one of the bill’s sponsors. I don’t want that to happen again, and I don’t want Nevada to monopolize this market. 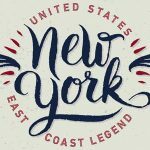 The proposal must first clear the state Senate and General Assembly Government, Wagering, Tourism and Historic Preservation committees later this week. If still alive at that stage, the measure would proceed before both New Jersey houses on Monday, Jan. 9, the last day of voting in the present Legislature before the scheduled end of the session. The bill’s approval would mean a certain economic boost for New Jersey’s gaming industry that has fallen on hard times in the last six years, losing over 10,000 jobs and almost half of its yearly revenue. We could be the Silicon Valley of Internet gaming and it could mean billions of dollars in revenue for Atlantic City, and thousands of jobs, Lesniak said. If we have to reintroduce then in the new session, we’d lose a lot of the momentum we have now to get it done. The bill already was approved by the Legislature, but Gov. Chris Christie elected to veto it last March, citing contradictions with federal regulations and the New Jersey constitution. 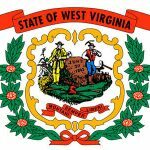 But modifications to the bill and the recent U.S. Department of Justice (DoJ) opinion that clarified the 1961 Wire Act as applying only to sports betting may have changed the governor’s mind on the issue. Christie’s veto of the bill in March specifically pointed out that the state’s constitution limits all gaming to be undertaken in Atlantic City. New Jersey lawmakers have changed the proposal requiring the servers of gambling websites be based in Atlantic City. 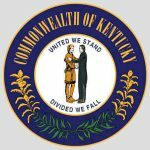 It is believed that the Republican governor will approve the modified bill. 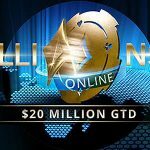 Nevada is moving quickly to become the first state to offer intrastate online poker. The state’s gaming regulators approved regulations a few days before Christmas allowing Nevada gaming companies to submit applications for licenses to run online poker websites. Caesars Entertainment Corp. and Boyd Gaming Corp., companies with presences in both Nevada and New Jersey, have already applied for licensure in Nevada.